The one-off show truck will be auctioned at Barrett-Jackson Scottsdale. The 2019 Detroit auto show is currently in full swing, and as always, automakers are showing off a number of concept vehicles. It may be difficult to imagine now, but those show cars will one day fade to little more than a distant memory. 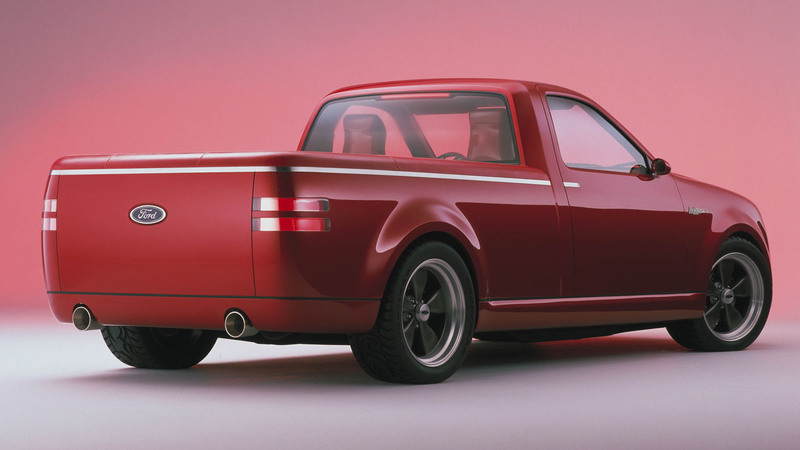 Of course, that will just make rediscovering them in 20 years all the more fun—take a look at this 2001 Ford F-150 Lightning Rod concept. First shown at the Chicago auto show in February 2001, this chopped and stretched Ford F-150 claimed the dual inspirations of hot rods and the tattoo culture of New Zealand’s Maori people, and it can be yours when it crosses the block at Barrett-Jackson’s Scottsdale auction later this week. “Wait, back up,” you say? We did a double take when we read that bit about tattoos, too. 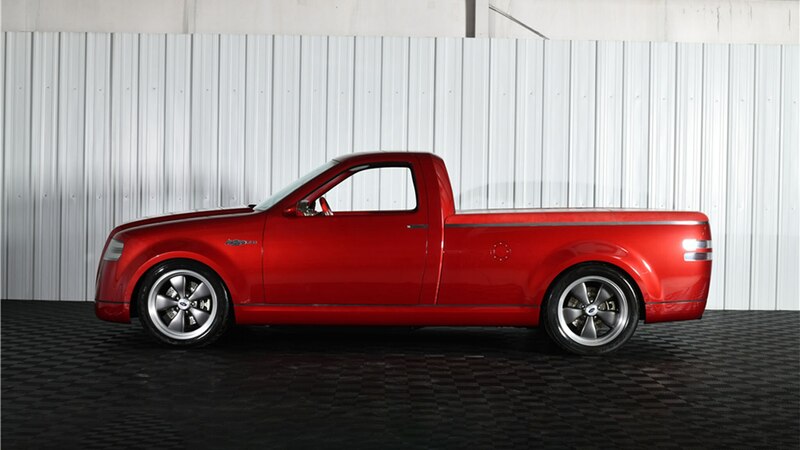 You can’t see it very well in the auction photos, but in the original press photos above you can see the Lightning Rod concept features a Maori-inspired design on the leather-wrapped tonneau cover for the bed. 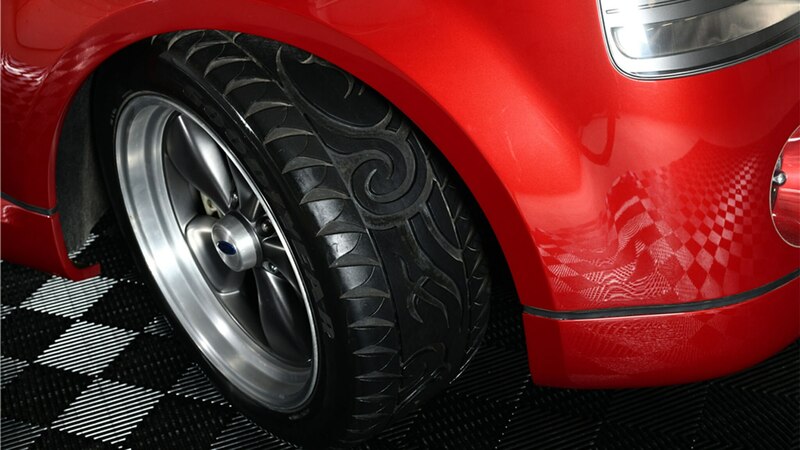 There are similar designs cut into the tread of the tires, but the vaguely Polynesian motif is subtle until you step inside. 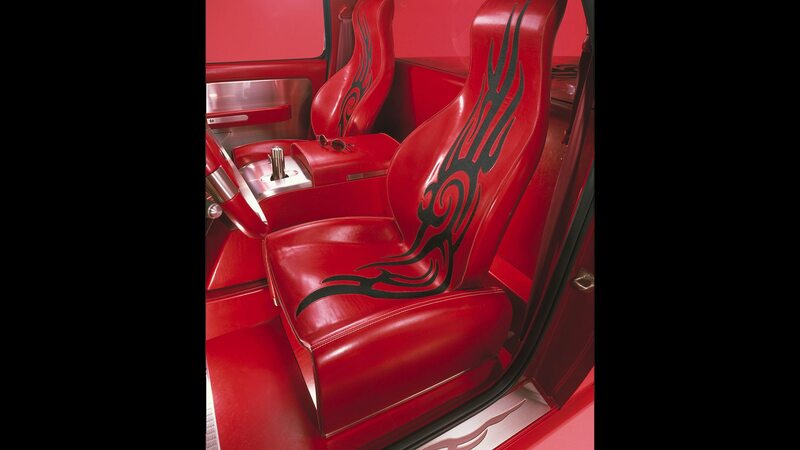 The custom red interior is highlighted by Maori tattoo patterns cut into the leather-wrapped bucket seats and headliner. This may seem like an unusual theme, but keep in mind that “tribal” tattoos were all the rage when this concept came out. 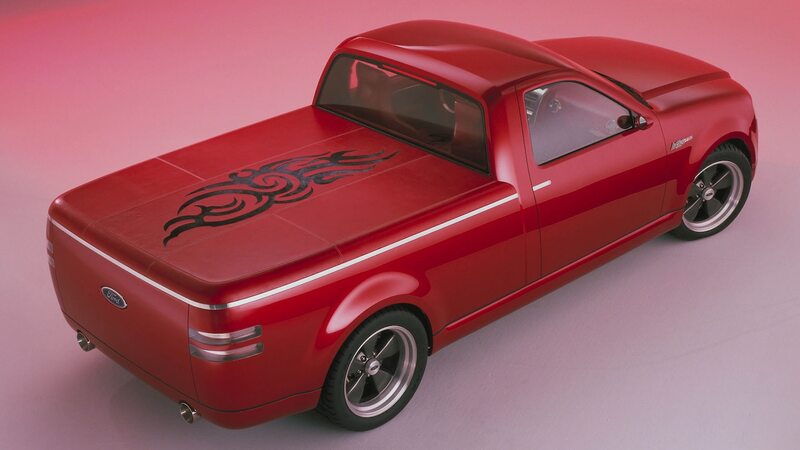 “Lightning Rod draws from the passion of the muscle cars of the 1960s, the hot-rod industry, and the current body art craze to take America’s bestselling pickup to a new level of performance excitement,” Ford’s then North American design chief Ed Golden said in a 2001 press release. 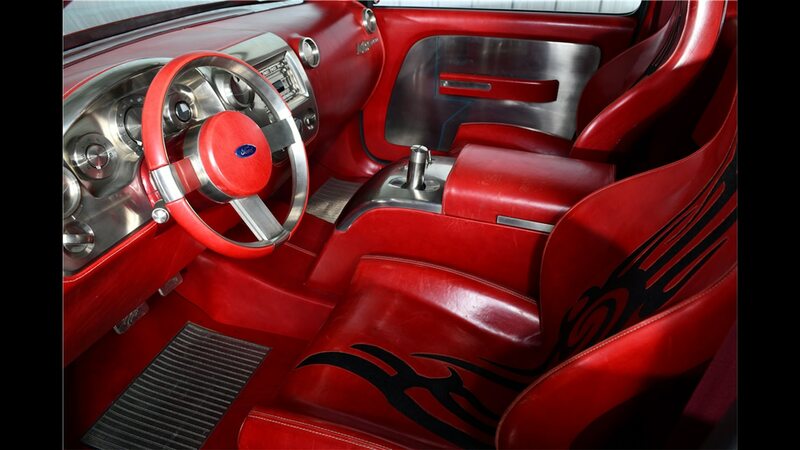 The hot-rod influence is easier to spot. 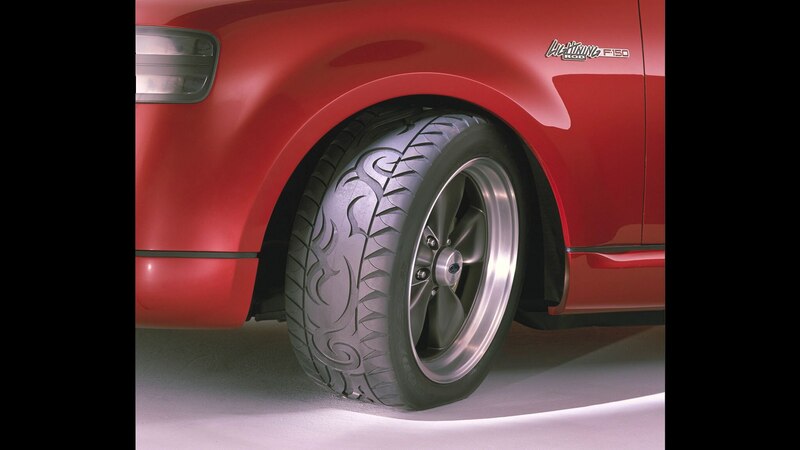 The roof has been chopped an inch, and the body lowered on 20-inch custom five-spoke wheels. The front and rear overhangs have also been shortened, with the bumpers integrated into the bodywork for a smooth, flush look. One particularly cool touch is the headlights, which feature two horizontal neon tubes. 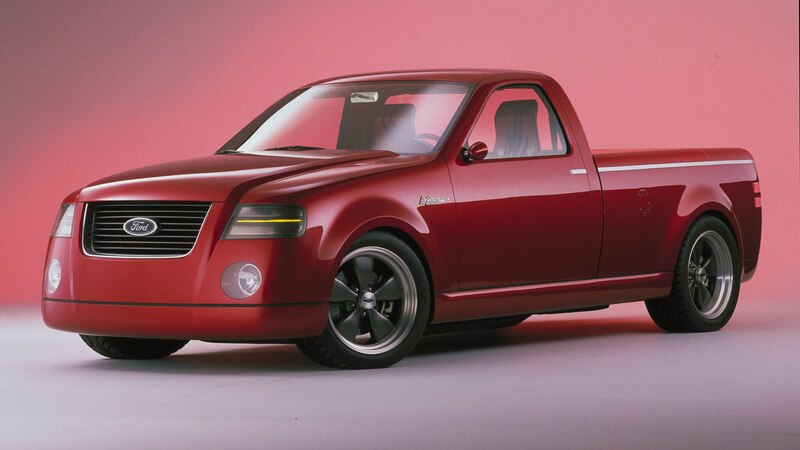 As the name suggests, the concept is powered by the same 5.4-liter V-8 engine found in the Ford F-150 SVT Lightning of the day. 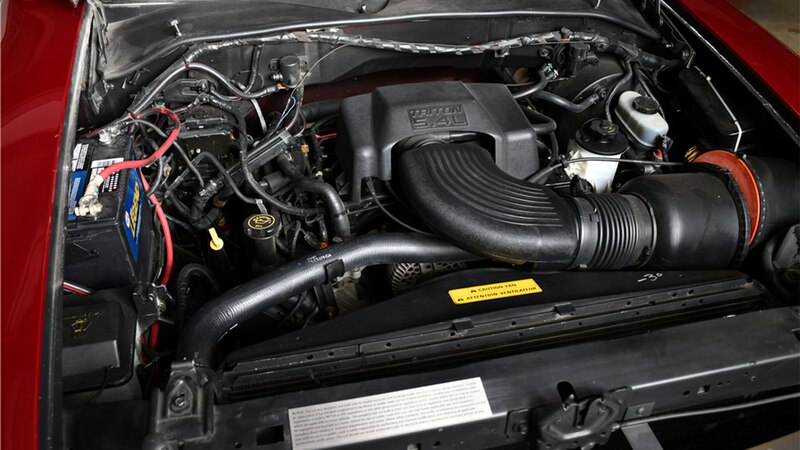 That engine makes 380 horsepower and 450 lb-ft of torque. 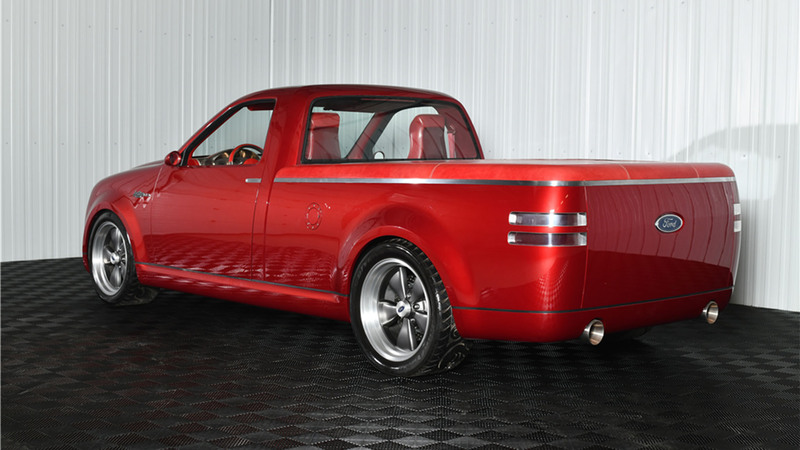 Unfortunately, whoever buys this concept won’t get to enjoy that power on the road. 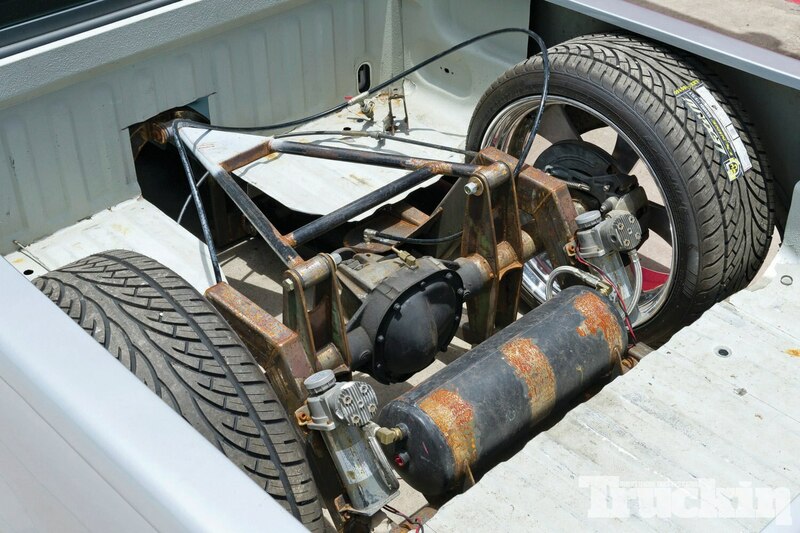 According to the seller, the truck runs and drives but is not DOT- or EPA-certified and thus cannot be registered in the U.S. 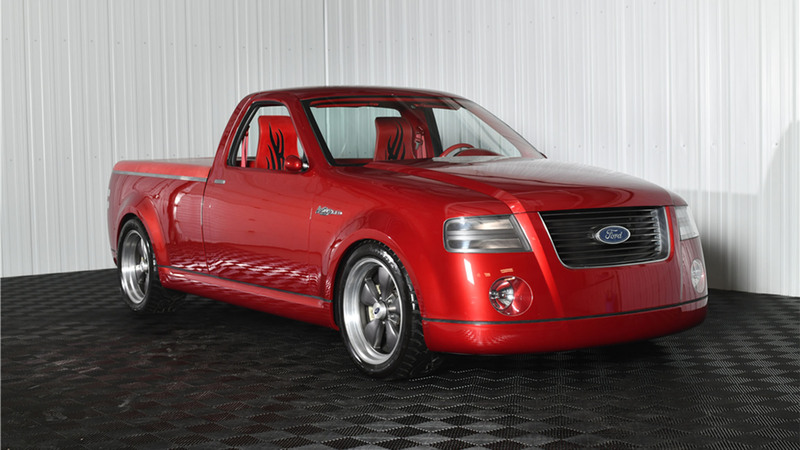 But if you want a unique F-150 to display in your collection, you can catch this one at Barrett-Jackson Scottsdale on Thursday, January 17. 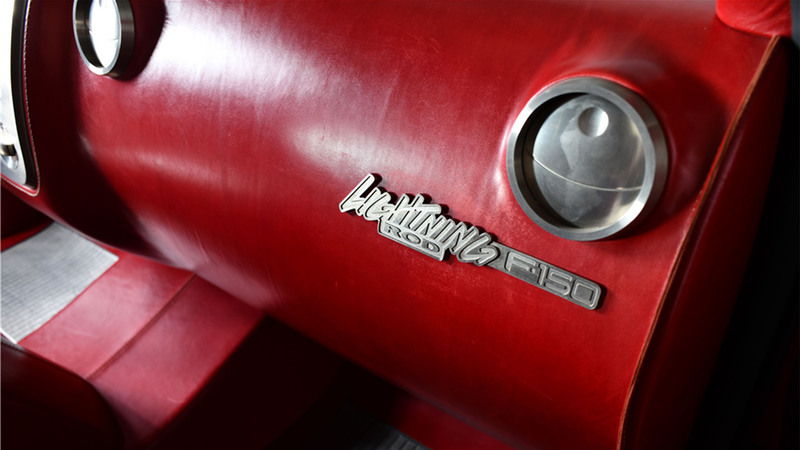 Barrett-Jackson ushers in a new year of high-octane auction action during its 48th Annual Scottsdale Auction, featuring some of the world’s most coveted collector vehicles and authentic automobilia collectibles, January 12-20, 2019, at WestWorld of Scottsdale. As in decades past, The World’s Greatest Collector Car Auctions will be the epicenter of Collector Car Auction Week and entertain thousands of automotive enthusiasts with interactive exhibits, entertainment, and activities. Check your local TV listings to see it live on MotorTrend Network and download the app for exclusive, live coverage. After 32 complaints, the National Highway Traffic Safety Administration is prepared to investigate the rust issues involving the 1997-2001 Ford F-150.This particular series of F-150 trucks have already gained notoriety for its collection of oxidized metal.